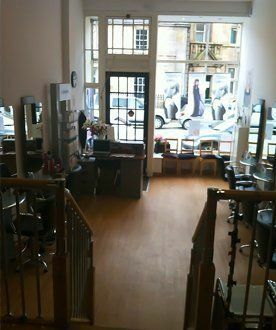 The hairstylists at Sublime Hairdressing have years of experience in hair care services. We are dedicated to providing our customers with a high standard of service at all times. Our professionals use the latest techniques in haircutting, hairstyling and colouring services and are also up-to-date with the latest trends and styles. Trust us to use high-quality products to treat all your hair problems. Contact our experts in Stirling to book an appointment. Sarah Turnbull is the salon owner. With over 20 years in the hairdressing industry she enjoys all aspects of hairdressing including colouring, extensions and the specialist service of analysing hair under the microscope to try and help resolve hairloss and scalp problems where possible. Emma is our full-time stylist who has achieved both level 2 and 3 hairdressing qualifications. Emma is extremely passionate about all aspects within the fashion industry and what's up and coming for this year! Emma is keen to learn & her enthusiasm makes her popular among the clients. Sarah the Barber as she likes to be known has got 25 years experience in the hairdressing industry. Sarah is now a member of the British Master Barber Alliance and is continuing to welcome new customers to 'The Barber' section along with her many customers that have followed her through to Stirling a huge big thank you to them all.